The sale is available for 3-days only from Monday, November 5th to Wednesday, November 7, 2018. 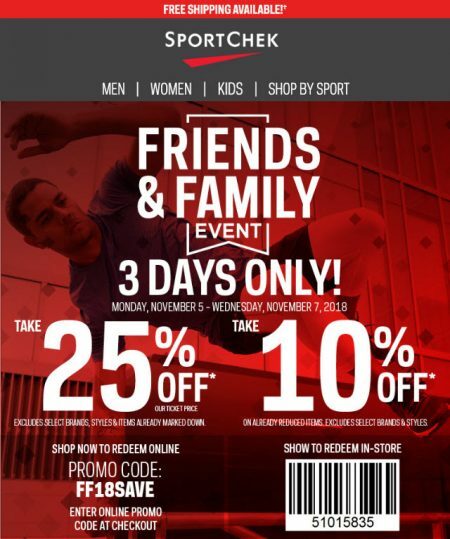 If you’re shopping online at SportChek.ca, you’ll need to enter the promo code FF18SAVE at checkout. If you’re shopping in-store, you’ll need to print & present this in-store coupon. Sport Chek is also offering Free Shipping on all orders!